This game… I have a completely honest review that you may or may not agree with. Prey, developed by Arkane Studios, published by Bethesda Softworks, released for the PS4, Xbox One and PC on May 5th, 2017. A first-person shooter, action game that starts out with you playing as either a Male or Female Morgan Yu, exploring Talos I, where you search around and look for clues about the hostile aliens on board. This has open-level gameplay similar to Dishonored. In Prey, as you go through the space station, you’ll find weapons, bombs, and abilities to use to fend off the aliens around the station. There are also tons of reading materials and audio chips throughout the game to help reveal some of the story, if you’re interested in that. Neuromods are upgrades to help upgrade your health, physical strength, hacking, etc, which are extremely helpful because you can find extra items and secrets with those and in the beginning of the game, you can’t really do too much. You do spend a lot of time searching around the station for healing items and ammo while fighting aliens and be careful because they could be anywhere because there are these smaller aliens called ‘Mimics’ and they do mimic a desk lamp or a chair. Instead of just a Main quest, there are optional quests to get through the main quest, such as the Main quest is finding a key card to get into a room and the optional quest is looking for another way in or hacking the key card system. This is actually a better way to go about the Main quest because you have more options to do things besides that one, simple quest to find a key card when there is clearly a hatch that you can open that goes into the room. You have a ton of time looking for healing items and ammo while being attacked by these aliens called Mimics and they will mimic a desk lamp or a chair so be careful when looking for items. This game has beautiful visuals and the graphics are just gorgeous. I love the aesthetics. There are jumps scares from the Mimics and you will be attacked randomly since it is in first-person so you would have to turn your sensitivity up a bit to look around faster. I’m not sure how I feel about this game overall. I played it on and off as if it wasn’t that interesting. Now, I’ve played Dishonored and loved it so much and finished it but Prey kinda lost my interest somehow and I’m not sure what it was. Maybe it was the combat system or the fact that it was just repetitive to get attacked all the time, randomly, so you could say I was “bored” but I’m not sure what to call it. 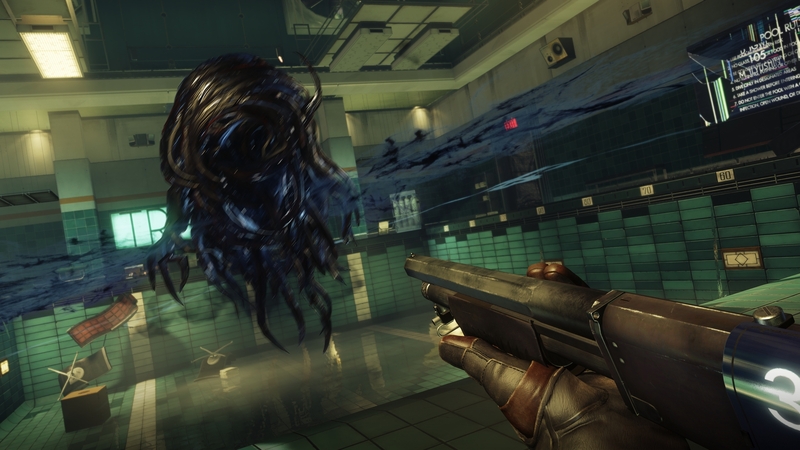 How do you guys feel about Prey? ← Spencer’s Gifts/Hot Topic Haul! I totally agree. I just didn’t know how I felt about it. All I know is that I kept going in and out to pay it which is why it took me so long to do a review. It was repetitive with the locked doors and the aliens attacking every single second. I did like the story as well.